What's the worst goodbye you've ever received? So Mikhail Kalashnakov has died. The NYT covers the death here: http://www.nytimes.com/2013/12/24/wor…. It's sad. It's sad when a person dies, even when that person has lived a full life, and even when that person invented a weapon that killed thousands upon thousands of people. But you know what's sadder still? It's that time of year, isn't it? Gotta find the perfect gift for all those special people in our lives. For me, of course, one of those special people is my probation officer. We've been close for years and years, as they say. But what in the world do I get this very special probation officer for Christmas? I need your help, Groupthinkers. 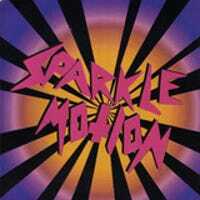 A couple of weeks ago, I took young Sparkle_Motion Junior (if there is one!) to the American Museum of Natural History. Love that place. Love it. But as tends to happen, SMJr. needed to use the restroom before we jumped on the train back home.